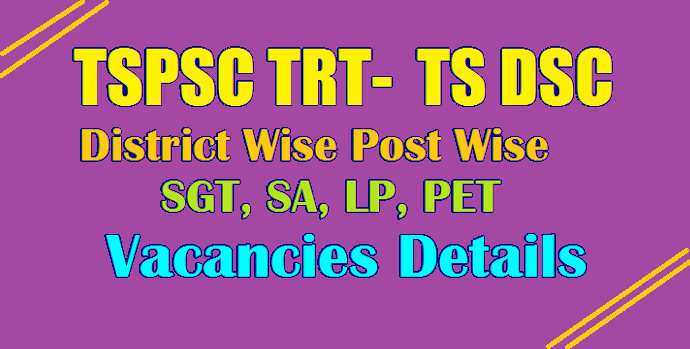 Telangana Teachers Recruitment Test by Telangana Public Service Commission has been given the responsibilities to complete the recruitment process in Telangana Districts. Post wise Vacancies Vizz... Secondary Grade Teacher SGT School Assistant SA Telugu Hindi English Mathematics Physical Science Bio Science Social Studies Language Pandit Hindi Telugu Urdu LPT LPH LPU. 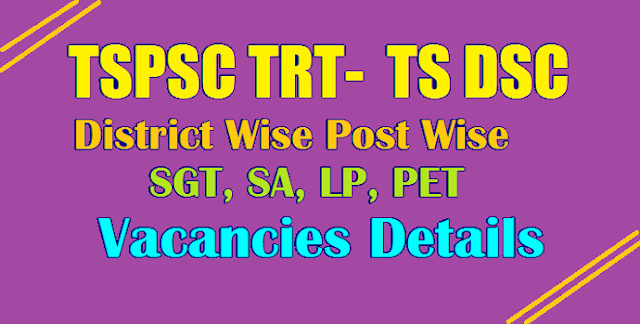 afeter Formation of New Districts vacancies will be released alon with the TSPSC TRT 2017 Notification we update given here.